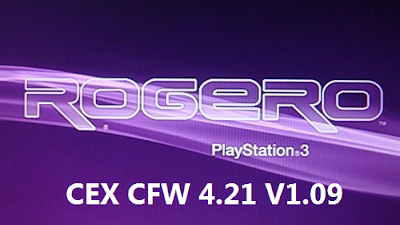 Today developer Rogero has decided to update his CFW 4.21 to version 1.09. Check out the changelog and feel free to download using the link below. - Compatibility problem with some Slim models (CECH-25xx) is now fully fixed. - XMB Icons problem from in-game PS button is now fixed. - Loading games from App_home Icon is now fixed. - Many other fixes from version 1.00 for a better performance and added stability. - It was tested by hundreds of testers on all PS3 models (FAT & Slim) and no problems were encountered. - Games can be loaded from Disc Icon (with Original game in BD) and from app_home (Disc-less, but not all games). - Current 3.55 homebrew applications can't be loaded on this CFW, applications must be re-signed properly for FW4.21.